English pacy winger, Theo Walcott could leave Arsenal this summer, after 10 years of ups and downs. It seems it is time for the English forward to move on as it’s now clear his exit would benefit both the player and the club. Theo Walcott has been linked with a move away from the Emirates this summer, following his lack of enough playing time last season and a bigger blow when he was snubbed from England’s Euro 2016 squad set to play in France. The England international has always agitated to be the pointman for the Gunners. He was offered the spot last season as he had his eyes set to join-in in the continental championship. Arsene Wenger remains unsure about the future of winger Theo Walcott, who is reportedly set to leave the club at the end of his contract. Arsenal striker Theo Walcott is in danger of missing the summer tournament this year as his name might be omitted when Head Coach Roy Hodgson names his provisional 23-man squad on Thursday, May 12th. Officially, Hodgson doesn’t have to open his hand on his players’ list until May 31st but he has opted to name the players in advance to try to curb some of the hype and hyperbole attached with the naming, and also give his players longer to work together. In case any of the 23 gets injured, he is also set to name six standby players. Theo Walcott is consistently being critiqued for his lack of goals and string of underwhelming performances. The English winger is struggling to find a consistent spot in the lineup of Arsene Wenger and its now being rumored that he might be on his way of joining Liverpool during the summer transfer window. Liverpool has recently been linked with Walcott but considering that he has a contract with Arsenal which extends for 3 more years, a considerably high offer might be needed in order to secure the services of the 27 year old player. In some more surprising and even shocking news, the Arsenal famous goalkeeper Petr Cech has announced that he may be considering retirement in the near future. What does this mean for the future of Arsenal and what is next in the career of Petr Cech? Some speculate that he could be retiring as early as immediately after the 2016 Euro. Former Tottenham manager Harry Redknapp believes that Theo Walcott is now at a time when he may struggle to get opportunities with the England national team. Up until now, Walcott was seen as the future of the next England team. This view has not materialised as many would have hoped. This is due to a combination of poor form, lack of playing time, and frequent injuries that the player has suffered in the last decade. Walcott created a huge buzz after being included in the 2006 World Cup squad, but he has remarkably been unable to play in a major tournament until now. 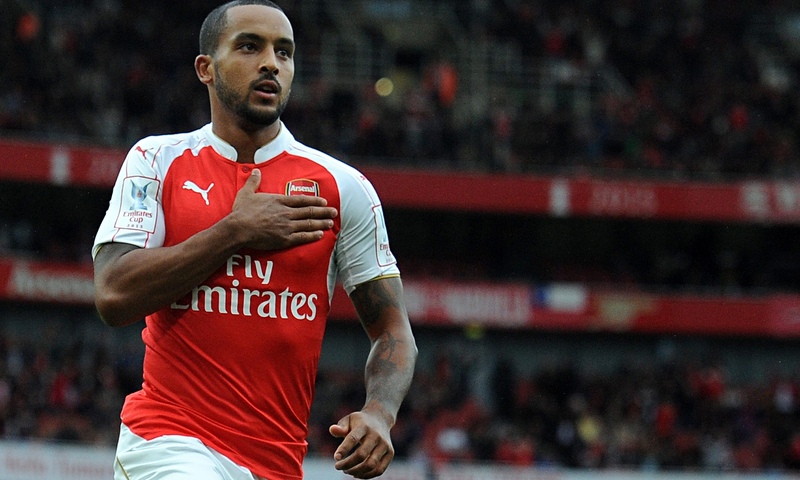 Is Theo Walcott’s Arsenal Career Over? Theo Walcott is a player who throughout his career has struggled with injuries and inconsistencies which have prevented him of being able to reach his highest level with Arsenal and despite all the patience that Arsene Wenger has had with the player, it might seem like Walcott’s time at the Emirates Stadium could be over as Alex Iwobi has taken center stage. Arsenal claimed their 15th league triumph of this season on March 19 as they travelled to the Goodison Park and locked horns with Everton in a match that resulted with a 2-0 triumph for Arsene Wenger and his players. The form of young Spaniard Hector Bellerin over the past year has certainly been a major boost for Arsenal. The right back has demonstrated his capabilities in both defence as well as an attacking threat, to make the position his own, as recent departure Mathieu Debuchy knows only too well. However, perhaps the one negative to come from this situation is the lack of playing time for Theo Walcott, who has struggled for prolonged consistency throughout his Gunners career.